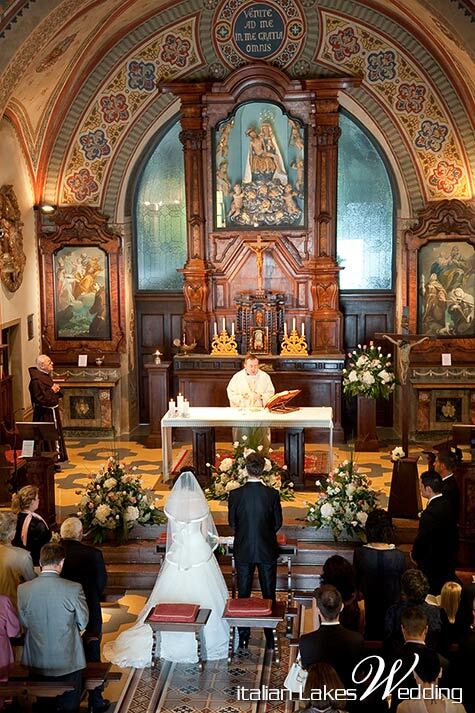 f you browse on our main site pages and on our blog you will surely find many posts and articles on Catholic ceremonies solutions on Lake Orta . 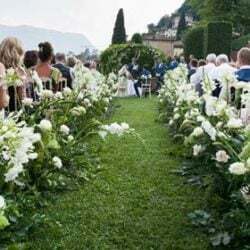 We decided to summarise all in a comprehensive post that could be useful to all our readers and to couples who are looking for a Catholic ceremony on romantic Lake Orta. Of course there many churches around the Lake but just few can host a non-resident marriage: Maria Assunta Church in Orta Village, Sacro Monte di Orta church just above Orta hill, Santuario della Bocciola outside Orta Village above the hills, Madonna del Sasso church on the other side of the lake with a stunning view and small country Church of Luzzara. But let’s see them all in details. 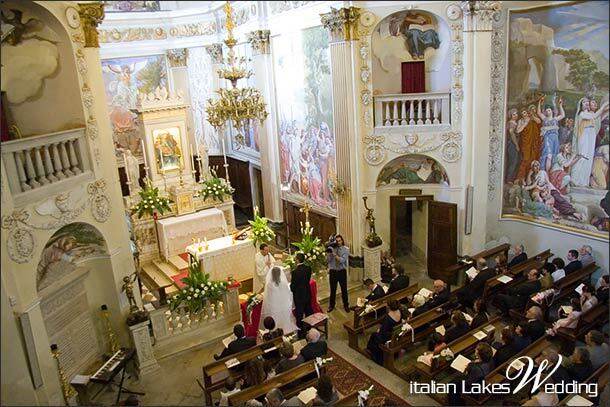 Maria Assunta church is located in the very centre of Orta medieval village. It is in a very special position. 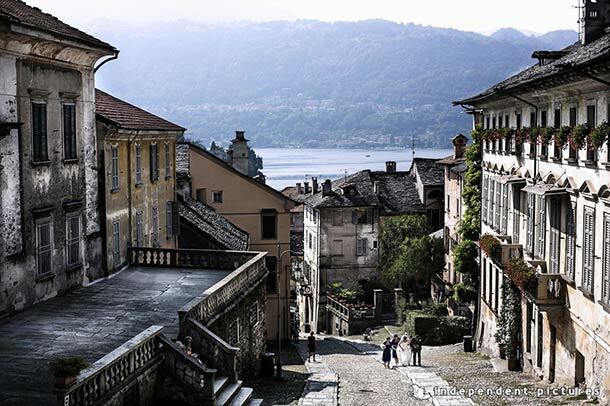 You and your guests can easily reach it walking from your hotel or apartments in Orta. No transfers are needed. Very handy. It is on top of Salita Motta an uphill road in the village. Once there the view over the village, Orta mains square and the lake is just amazing. 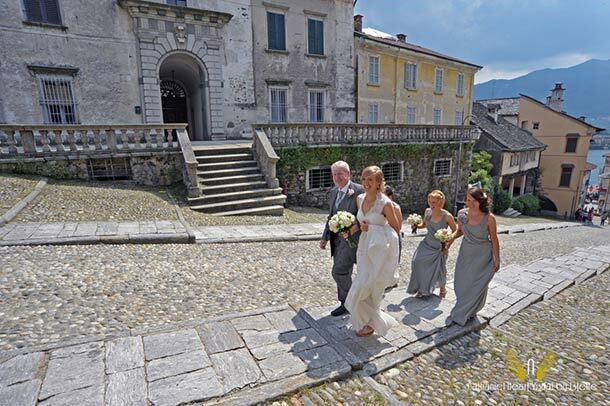 Looking at a bride walking up the hill to reach the church is always so moving! 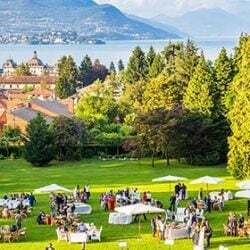 No transfers are needed if you are thinking about a reception in Orta at San Rocco Hotel, Palazzo Ubertini or Palazzo Gemelli. The last two are just side of the church. All other venues can be easily reached by a fun boat tour after the ceremony. 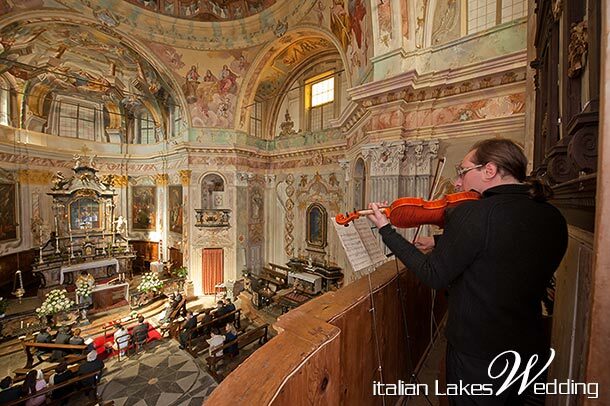 Maria Assunta Church is the parish church of Orta. It was built in 1485 and renewed in 1600. 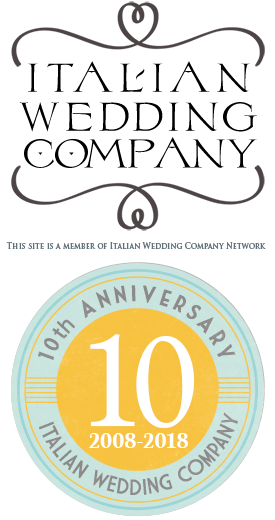 Inside you can appreciate wonderful frescos and precious details. Lovely steps could be an ideal set for your group photos and columns a nice frame for your entrance. 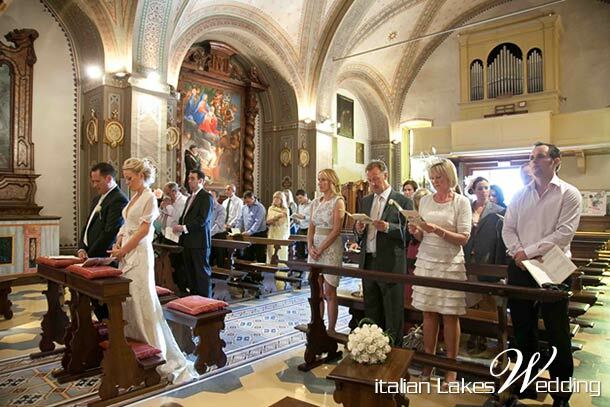 Inside the church there is a wonderful organ that can be used for your ceremony music. 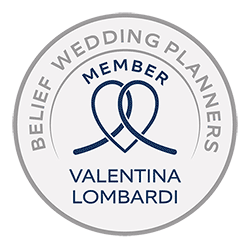 There are no restrictions on timings for your religious ceremony, you can choose the time and day you prefer always according availability. 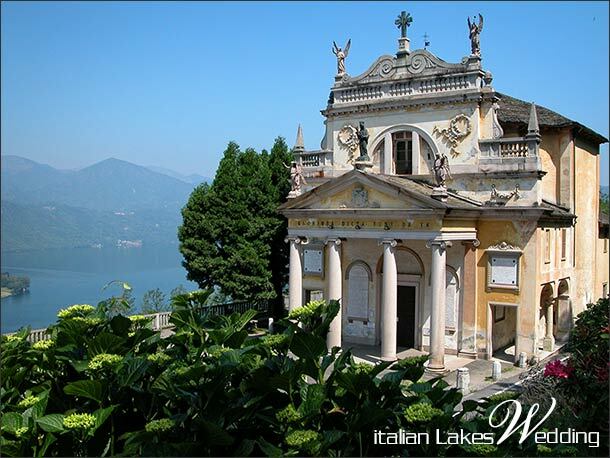 Sacro Monte di Orta church (Sacred Mountain of Orta) is located on top of Orta hill. It is not far from the heart of the village but we suggest to reach it via the lovely touristy happy train of Orta: Trenino di Orta. It could be a fun way to transfer guests from the village to the church and back. Bride can arrive with a private wedding car. 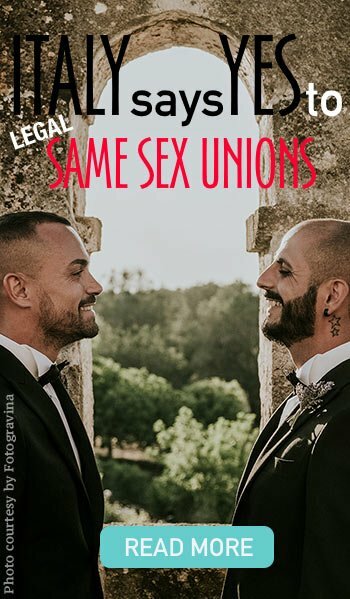 We have many options to suggest! 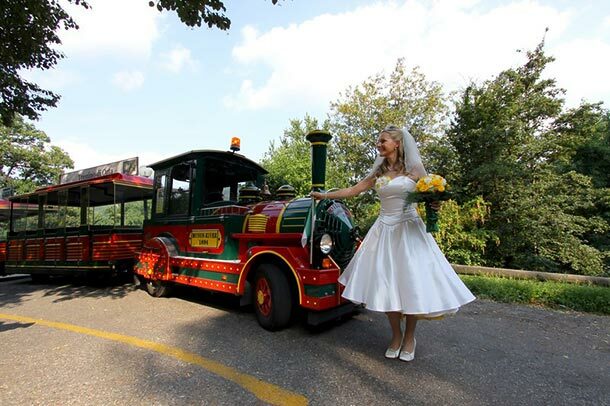 what a fun way to reach Sacro Monte Church on Orta hill, a lovely happy tourist train that your guests will love! 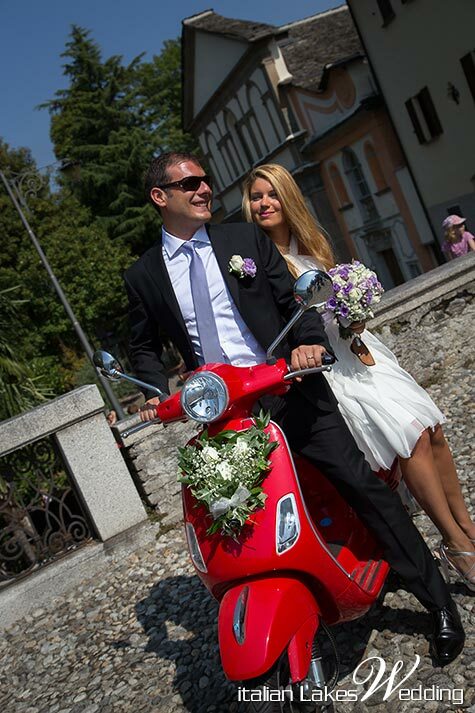 what about reaching Sacro Monte church on a traditional Vespa? 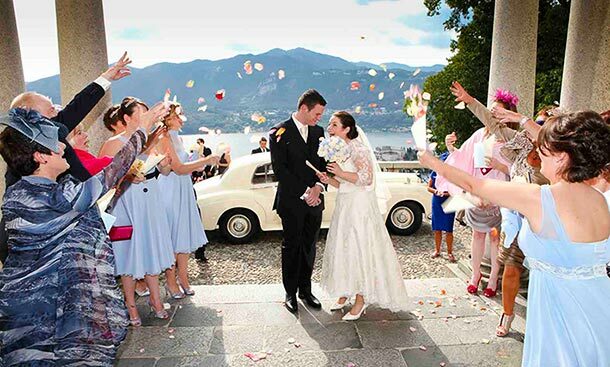 petals throwing for newlyweds after a ceremony at Sacro Monte Church overlooking Lake Orta. 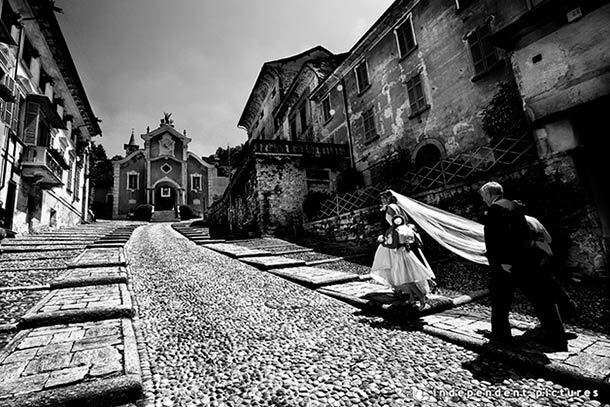 Sacred Mountain of Orta is one of Sacred Mountains of Piemonte and Lombardy regions. 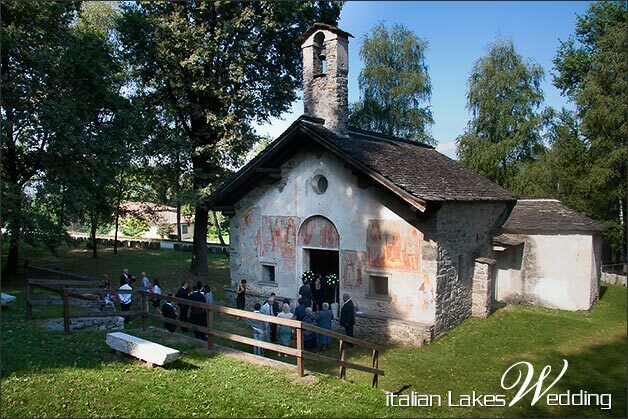 You an find another one on close Lake Maggiore (Sacred Mountain of Ghiffa – we will talk abut this in a following post on Lake Maggiore Churches). These mountains “Monti” are included in the UNESCO World Heritage list. 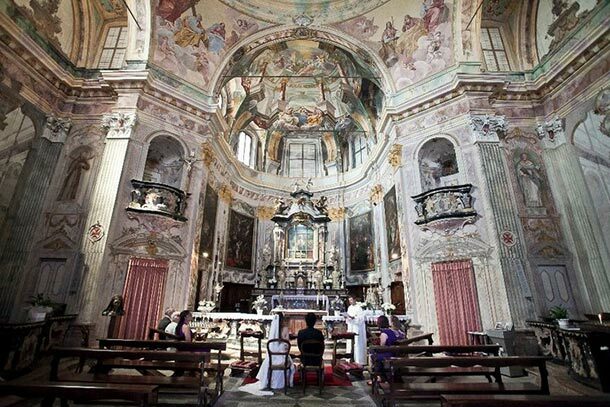 Sacred Mountain of Orta is not only a church but it is a Catholic complex dedicated to St Francis with many chapels and churches. Works for its constructions started in 1583 and ended in 1788. 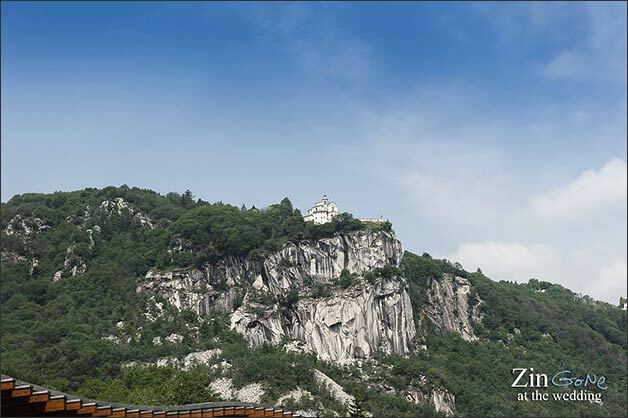 There are 20 chapels on the Sacred Mountain set in an amazing natural park. 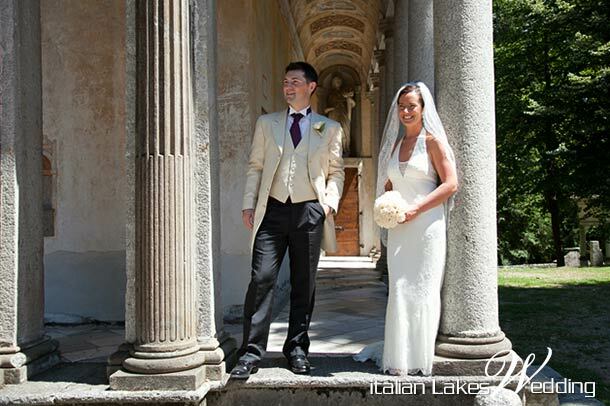 The park could be also a very good place for a prosecco toast and some canapés after the ceremony. 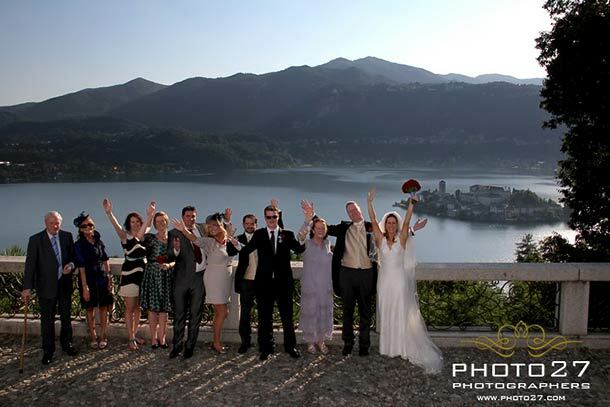 group photo overlooking Lake Orta and St. Julius Island – this is the stunning view from Sacro Monte church! 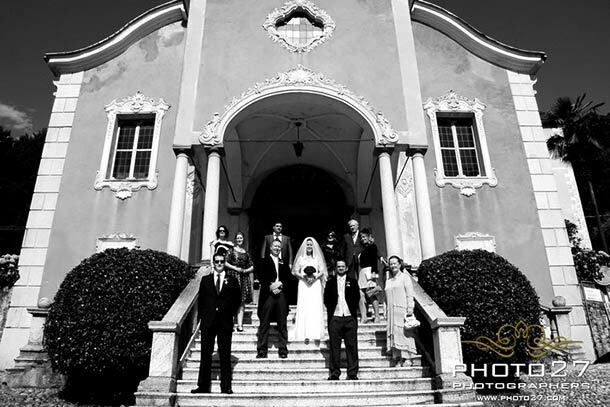 Biggest church is St Nicolao where wedding ceremonies can be performed. Being a Franciscan churches frescos are less grand than Maria Assunta Church but the atmosphere is really charming. And we cannot miss the view. 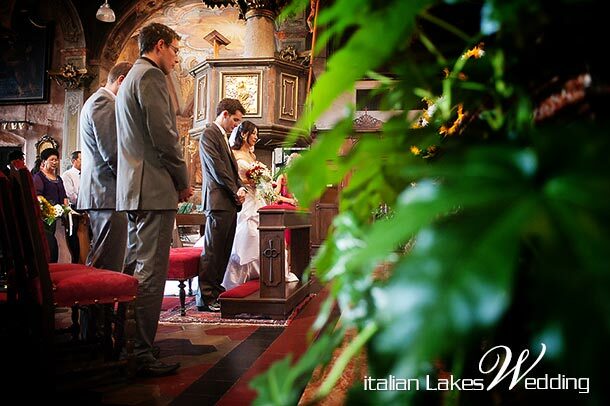 It can be a wonderful exit for bride and groom overlooking the lake and its Island, just like being in a post card! Ceremonies ca be held here only at 12.15 or 18.00 all days. 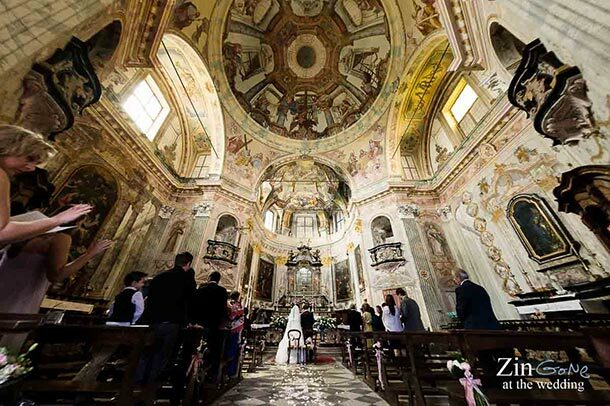 This wonderful church is located in Vacciago a little village above Orta, no more than 5 minutes drive from the village. In this case a transfer for guests is required but it is something we can easily plan for you. The church was built to remember a miracle: Holy Mari apparition to a young shepherd in 1543 close to a wild prune called Bocciolo. This is why is called Santuario della Bocciola. The church as you can see it today was built in 1875. Facade is amazing with its wonderful columns in local marble. 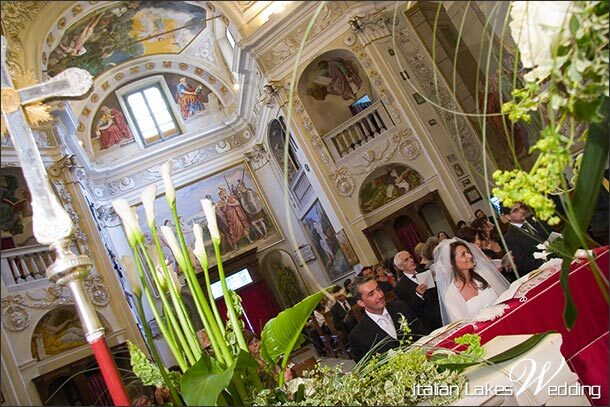 Inside amazing frescos that will be the perfect frame for your Catholic ceremony. 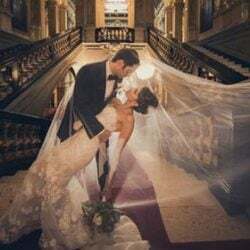 Ceremonies can be held here every day at the time you prefer, however please consider that parish priest accepts only few weddings per year so we need early bookings to plan a wedding here. Church of Madonna del Sasso is located on top of a marble rock (Sasso) on the other side of Orta village overlooking the lake. We are sure that you noticed it in many pictures taken in Orta as a little dot on top of the hills on the other side of the Lake. 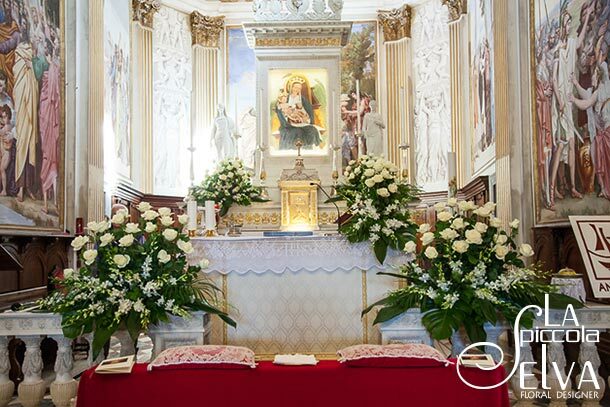 The beautiful white baroque church was built in 1748 instead of a smaller chapel dedicated to Holy Mary. Tower bell was added in 1760. 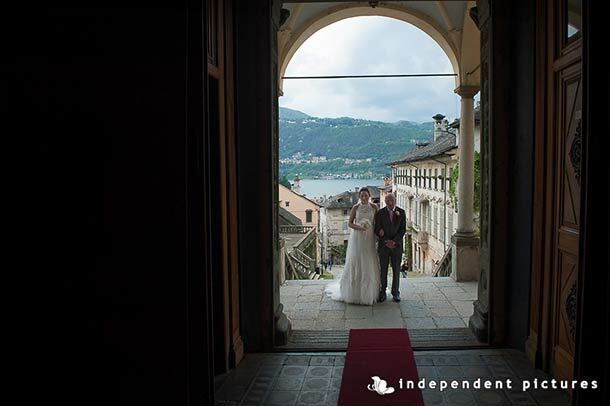 The church lay on a wonderful green terraced lawn overlooking an amazing view on Lake Orta. From here you can see all the lake from Gozzano to Omegna. You can admire St. Julius Island and Orta village on the other side. Inside the church frescos are stunning. 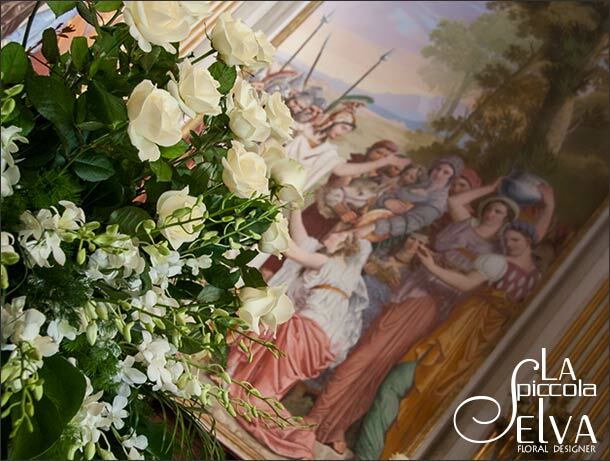 They are all made by Lorenzo Peracino a famous painter from close by Sesia Valley. 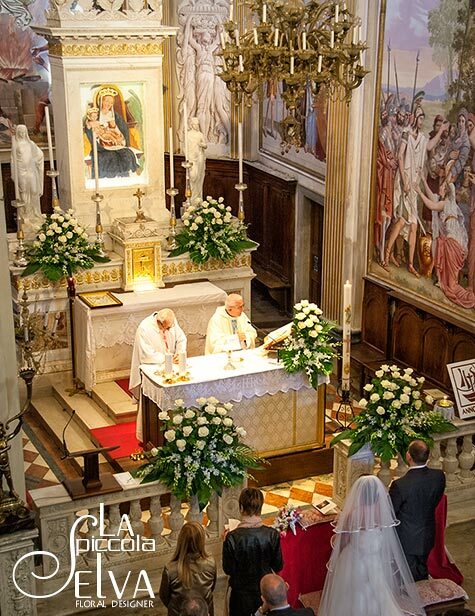 Church allows ceremonies all time and days of the week according availability. 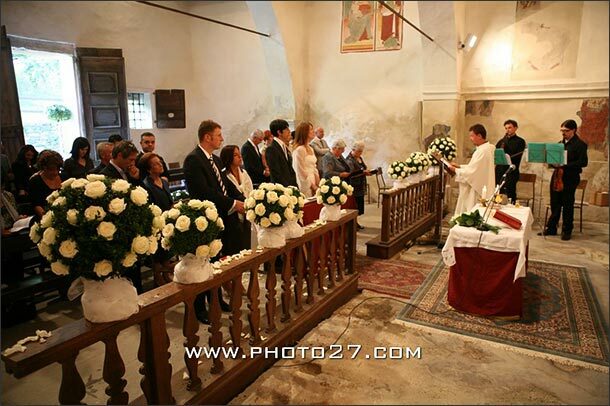 Last but not least we would like to add small country church of Madonna di Luzzara. 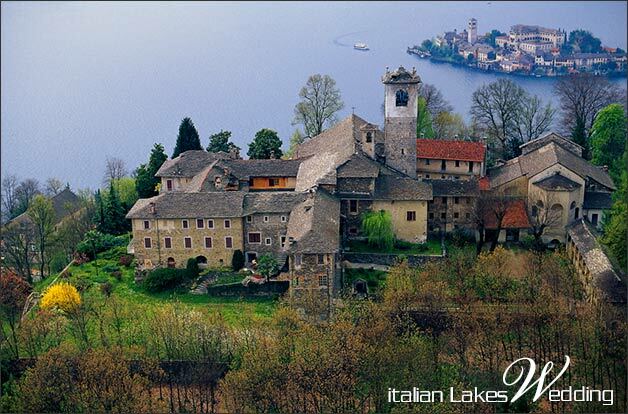 Church of Madonna di Luzzara is located in Gozzano a small village at the door of Lake Orta. You cannot really see the lake from here but the atmosphere is just magic. 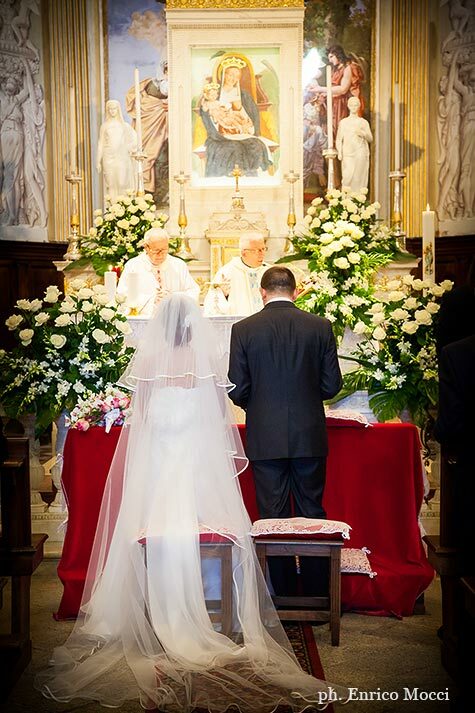 It could be ideal for small and intimate catholic ceremonies. 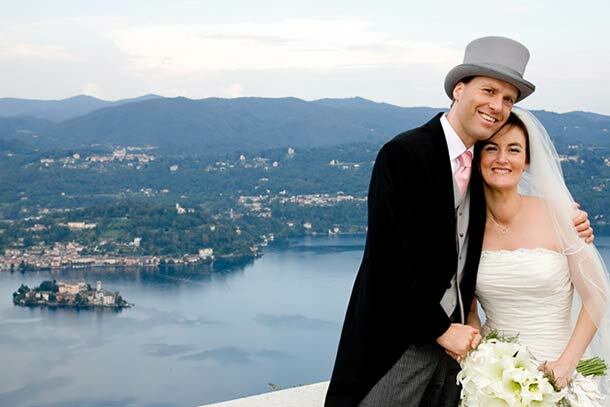 If you are thinking about a country wedding on Lake Orta, this could be a perfect choice. Real date of construction is unknown but it can be dated around 1400. 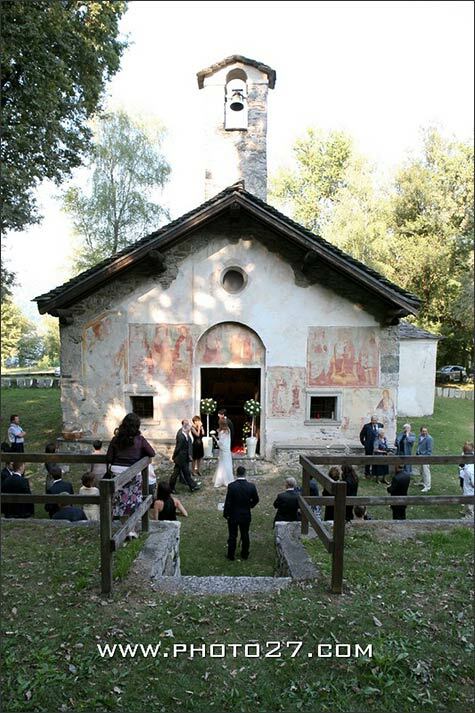 It is a small and simple church made of stones and ancient frescos. 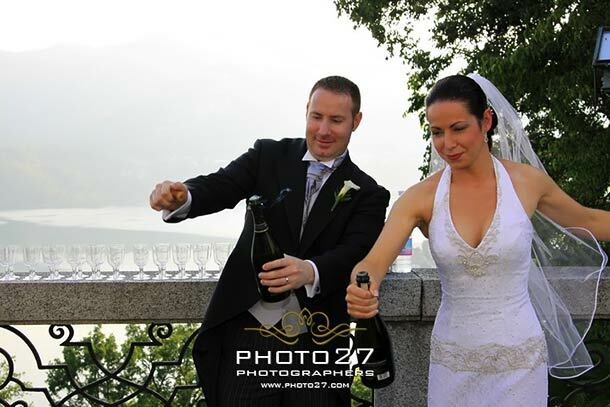 It is located in a green area where you can even plan a fun prosecco toast after the ceremony. 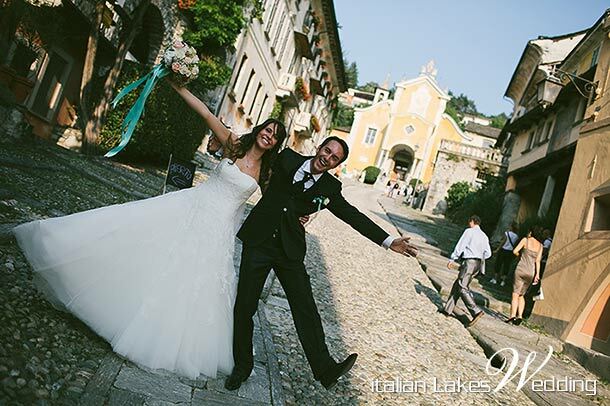 Transfers from Orta village are required for guests while bride can reach it with a wedding car. She can reach the church going down stone steps towards the church. A bucolic entrance indeed. 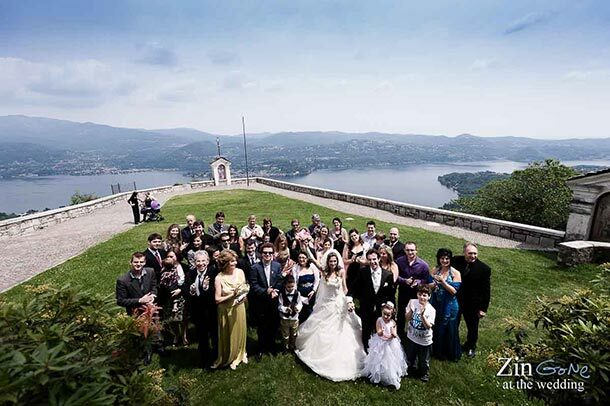 We hope this can give you a full overview of all possibilities for your catholic wedding ceremony on Lake Orta. 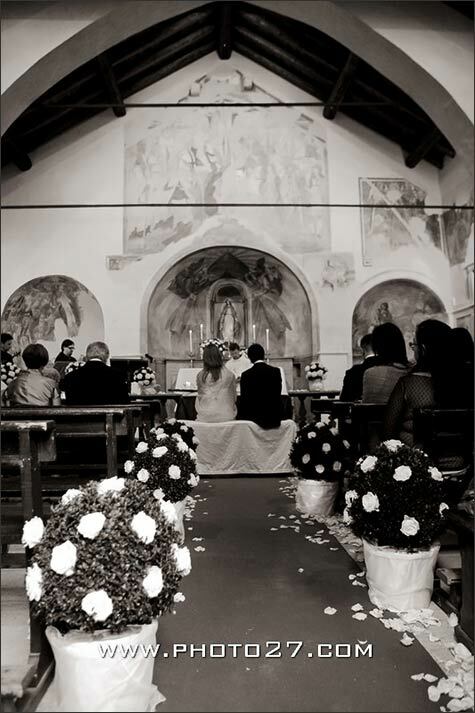 We will be pleased and happy to help you finding the right church for your special day, just CONTACT US.